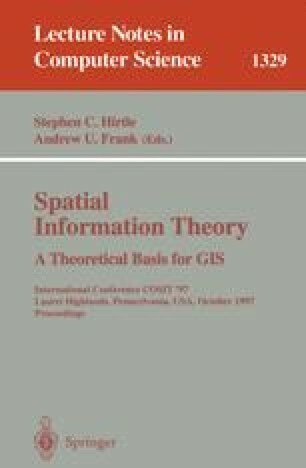 Directly interpretative spatial knowledge which may be of value to the user resides in the possible arrangements underpinned by geographical objects. Until now, the meaning of geographic information was unveiled through the eye-brain apparatus of the user. The challenge consists in capturing such meaning by finding the significant dimensions which structure the diversity of the informational space, and which are used to perceive, and as much as possible explain, highly significant spatial arrangements and organisations bearing their own signification.